STRATFOR’s Scott Stewart lays out how digital technology is affording safe spaces for terrorists’ communications. The implications for our safety from terrorism are difficult to fully appreciate, as Britain’s Theresa May has pointed out. And THEN been criticized for threatening people’s, presumably including future terrorists’, freedoms. See the entire, excellent, article here: http://tinyurl.com/y7xu7djj . 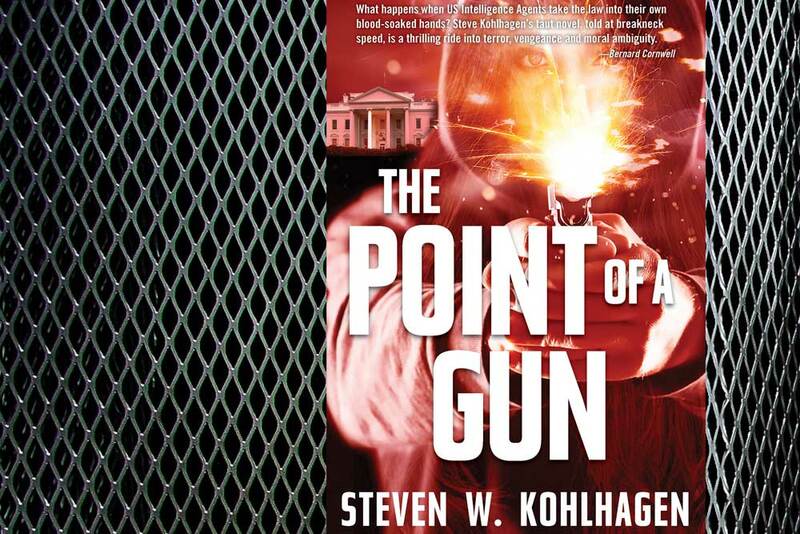 This is a recurring theme and hurdle for the vigilantes led by secret top U.S. Counterterrorism official named Samms in my new thriller The Point of a Gun. How does Samms sove this overwhelming security hurdle? Is her solution effective? Is she necessarily threatening Constitutionally granted freedoms? Theresa May is a strong female leader in the fight against terrorism. In the summer of the blockbuster “Wonder Woman” another tough female fighter is dramatically re-introduced into our culture. Samms in this book is yet another strong female protagonist in the fight against killing and murders. But she takes it upon herself to lead a secret group of vigilantes who kill prospective terrorists in cold blood. Who is Samms? Is she the Deputy Director of the CIA for Counterterrorism? Or is she Deputy Director of the FBI for Counterterrorism? Or is she the senior ops official working with the Deputy Director of the U.S. Army JSOC for Counterterrorism? The answers and the resulting conundrums unfold in the telling of their story.